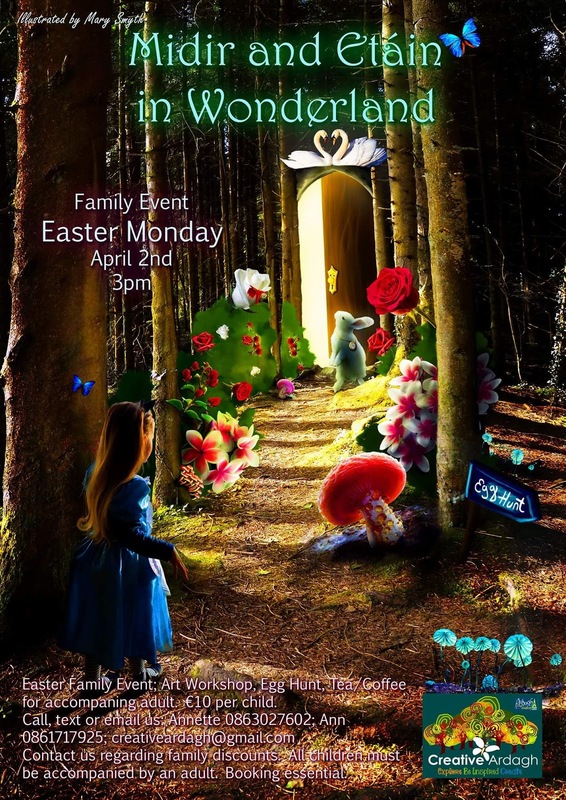 Our popular Easter egg hunt Midir and Etain in Wonderland returns on Easter Monday 2nd April at 3pm, €10 per child includes art workshop and egg hunt and free tea/coffee for accompanying adult. Family discounts available. 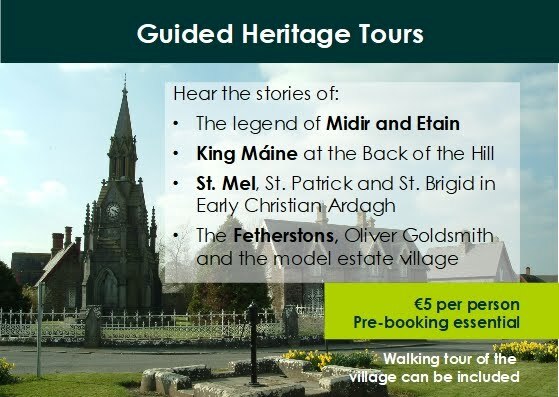 Alice is revisiting the Wonderland of Ardagh, home of Midir and Etain. Is Fuamnach really the Red Queen or is Midir the Mad Hatter? Come along and join the White Rabbit in the quest for the way into Tir na nÓg and you might even find some eggs. Be inspired by the story and let your imagination run wild in the art workshop, help to paint the roses red or follow the White Rabbit down the burrow. Lots more family fun too. Booking essential. 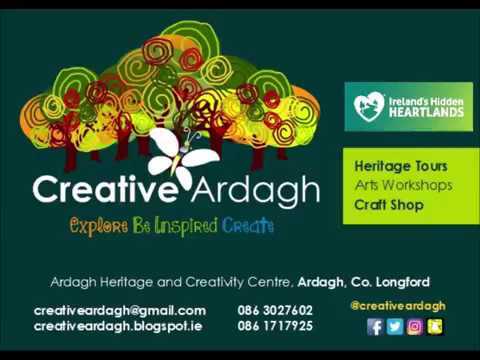 Buy tickets online below or contact us to book on 086 3027602, 086 1717925 or by email to creativeardagh@gmail.com. Thanks to Mary Smyth for the beautiful poster design and to our model Alice (Lily-May).